Despite widespread acceptance and generally positive sentiment from commuters, Uber has not exactly had a smooth rollout in the Philippines. Launched in Manila in 2014, the US-based ride-sharing platform has had to surmount incessant regulatory obstacles from the Land Transportation Franchising and Regulatory Board (LTFRB). Related story: Why Did LTFRB Suspend Uber? In August 2017, the LTFRB suspended Uber’s operations in the country, ostensibly due to certain infractions. The suspension was lifted after the company paid a fine of Php190 million. Uber currently has around 66,000 registered vehicles in the country, which could be much more, if the LTFRB hadn’t stopped it from accepting new applications for driver-partners since the suspension last year. These setbacks aside, Uber is on a quest for growth. The company, most recently valued at just under $68 billion, is constantly innovating and introducing new products and services outside of its core business of ride-sharing to cater to the ever-changing needs of consumers. These new offerings have been slow to come for Uber in the Philippines, precisely because of tight government regulations, but to get a sense of what else the company could offer its customers in the near-future, it would be helpful to look at other markets where it is operating, most especially Singapore. Uber launched in the Lion City, its first market in Asia, in 2009. It is also where the company’s Asia Pacific headquarters is located. Although the company has faced similar regulatory issues, today it enjoys relatively unimpeded operations there. In 2016, Uber launched UberEats, its food delivery service. 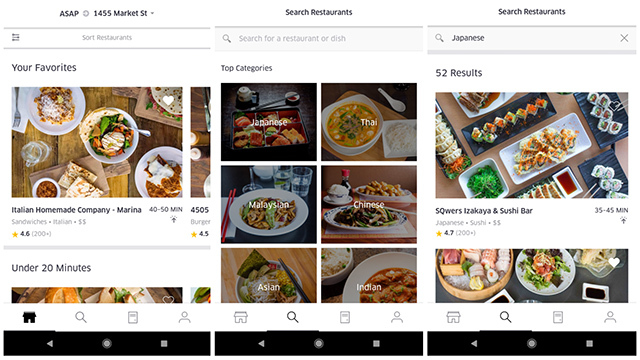 Today, over 80,000 restaurants in 200 cities and 30 countries are on UberEats worldwide. In Singapore, around 2,000 restaurants and food outlets across the entire city-state are on the app. Users, who will have to download an app separate from the main Uber app, can use the service to have food delivered, from small hawker-style stalls to fast-food giants like McDonald’s. 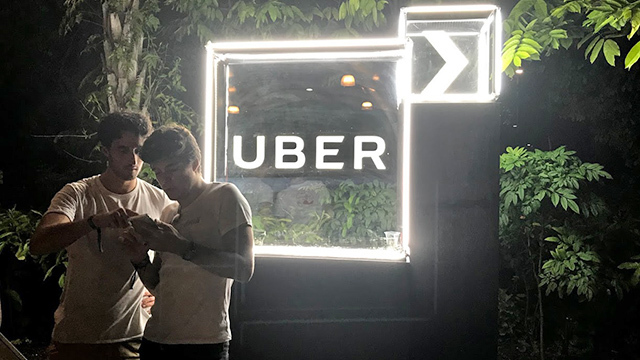 Uber was an official partner of this year’s edition of Laneway Music Festival, the region’s biggest festival geared mostly towards indie pop and rock music, which I attended. Over 10,000 music fans from all over Singapore and across Southeast Asia and beyond attend Laneway every year. 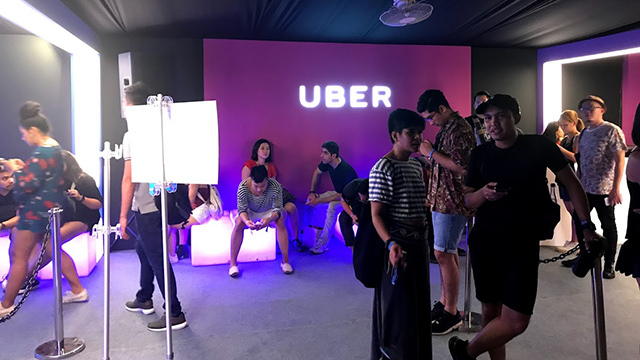 Uber’s branding was all over the festival grounds at the Meadow at Gardens by the Bay—from a dedicated Uber Lounge where festival-goers could get dropped off or picked up, to taking over the entire food stalls inside the festival and calling it the UberEats Food Village. 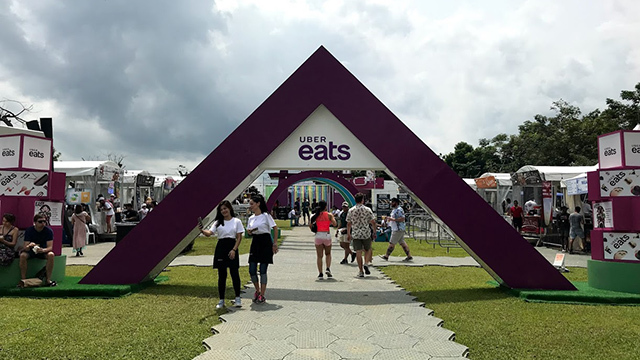 In addition, Uber launched a micro food delivery service within Laneway, where festival-goers could order from any of the 14 food outlets in the UberEats Food Village and have it delivered to dedicated UberEats Collection Points scattered around the grounds. The service eliminated the need for audiences to line up and risk missing the artists playing onstage. Last October, Uber also introduced a service called UberPet in response to the problem of certain transportation options in the Singapore that do not allow animals on board. Uber drivers can opt in to the service, assuring riders that their pet animals are welcome inside their vehicle. 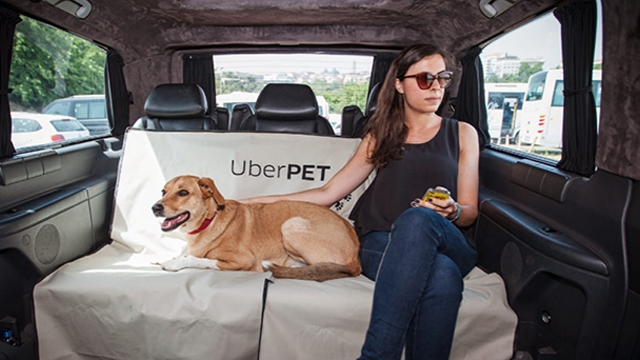 UberPet trips are priced the same as UberX, plus an additional SG$2 booking fee. While these new offerings are not yet available for users in the Philippines, it’s not unlikely that they will be soon, especially if government regulators broaden their perspectives and update their mindsets to the 21st century. *A previous version of this story misstated the fine Uber paid to the LTFRB. It was Php190 million, not Php160 million.